THE CAT IS BACK ! On the 9th January 2015 the repaired cat was reinstalled on the roundabout by Lafarge Tarmac during their reconstuction of the roundabout. During the delay the welfare of the cat was monitored by Kit Hubback and other members of the team, with extensive repairs to the cat being done by Darren Dynes. Once again, the users of the A1 who love the cat are greatful to the friends who rally round to maintain this moggy. The cat was vandalised during 2012 by bending it over, damaging the cat and breaking the framework. The cat team are hoping to get assistance during 2014 to repair the cat. The 3rd black cat on the black cat roundabout before it was damaged in 2013. This large third cat was manufactured as previous cats at Watson & Brookman. It was put on the centre of the Black Cat roundabout on Friday morning the 8th of August 2008. The installation was done by the Highways Agency during remedial work on the roundabout. 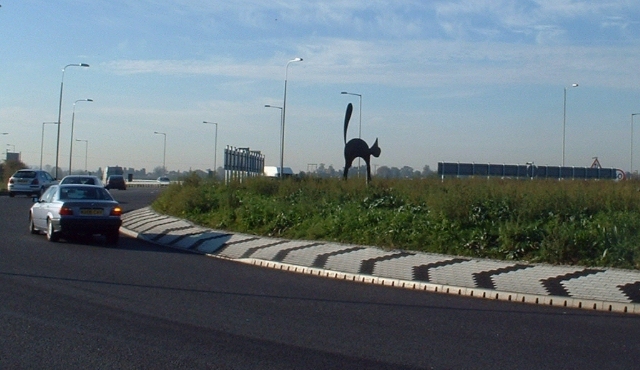 The 2nd black cat on the Black Cat Roundabout on the A1 near St. Neots until June 2007. The 2nd larger Black Cat was made by Clive Brookman at Watson & Brookman. 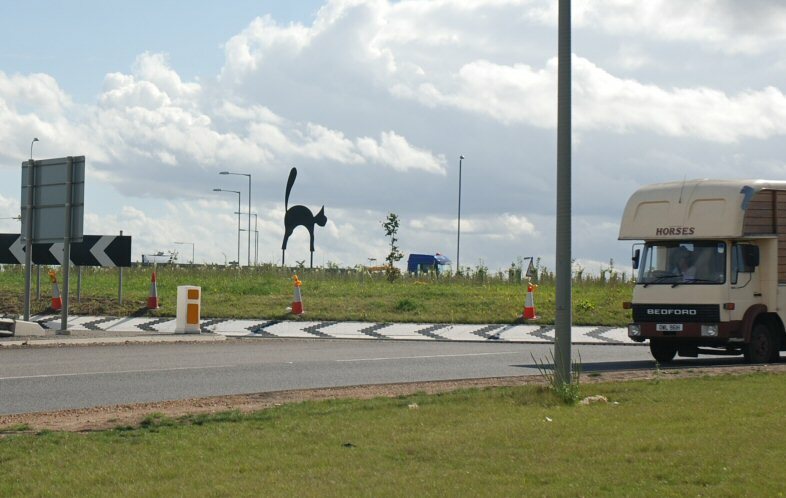 This cat was erected on the new roundabout by Nuttalls with the agreement of the Highways Agency. It was stolen in June 2007 by students, probably as part of a rag stunt. The 2nd cat reappeared on April 1st 2009 on a roundabout at Caldecote. On April 5th it found its way back to the Black Cat roundabout to its original place, only to disappear again. It is thought to have been removed by the Highways Agency. 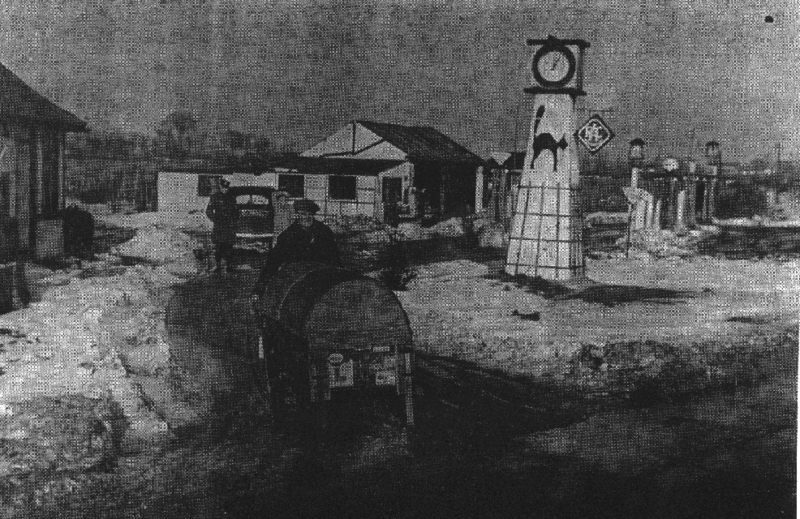 The first black cat on the old Black Cat Roundabout. The Cat was manufactured by Watson & Brookman at Chawston crossroads from steel plate. 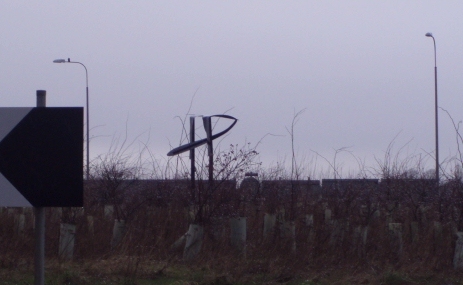 This cat was clandestinely installed on the roundabout in January 2004 by the Black Cat team of Jack (alias Tom Cat), Clive, Pete and Chris. The cat shape is the same as the cat from which the roundabout originally got its name, as shown below. 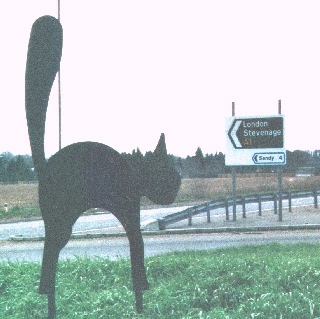 This first steel cat was removed by the Barford Bypass contractor [Nuttall] when the roundabout was enlarged and used as a mascot for the construction office. For info on A1 click here, or here.